Jan Klápšte is a professor at the Department of Archaeology at the Charles University in Prague. This book offers the first comprehensive picture of medieval archaeology of the Czech Lands available in English. 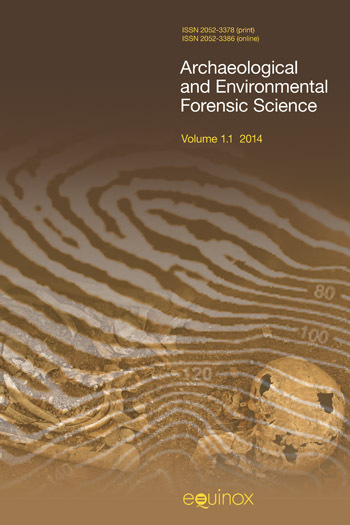 As it assembles the main topics of current archaeological research, it establishes the key issues of its methodology. The topics cover the rural and urban milieu, secular power supports (castles, manors etc. ), and monastic houses and parish churches. Special attention is given to technology, craft, industry (including mining archaeology and glass production), housing culture and daily life across the social strata. One of the fascinating features is the artefactual presentation of two competing religions; Catholicism and Hussitism. Czech medieval archaeology reveals new details of Jewish everyday life, and the story of the Anabaptists and their Central European crafts heritage. 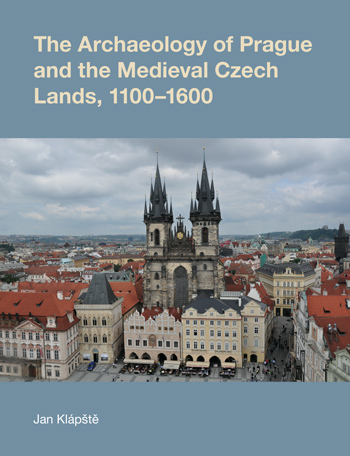 The achievements of contemporary Czech medieval archaeology are well documented while the text ventures on an archaeological journey through the medieval Czech Kingdom: from Prague up to its forgotten rural environment. The primary intention is to piece together the past and illustrate the position of the Czech Lands between the gradual process of medieval transformation (13th century) and early modern transition (16th century). The nine thematic chapters of this work contain an array of boxed texts by specialized researchers, highlighting the themes of particular importance. The entire book is illustrated by figures which have been until now practically unknown in the European context. Neil Christie is Professor in Medieval Archaeology at the University of Leicester. 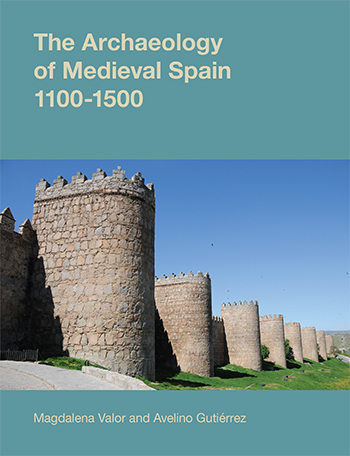 He has published a variety of sole authored and edited or co-edited volumes which have explored late antique and early medieval towns, landscape and peoples; a particular geographic focus is Italy, but he has worked also in Spain and Hungary. For work on these shores, very recent is his co-edited (with Paul Stamper) publication Medieval Rural Settlement in Britain and Ireland. The monograph related to his major AHRC-funded fieldwork project centred on the burgh and medieval town of Wallingford in south Oxfordshire is forthcoming. Neil is MB&I Editor and Reviews Editor for the journal Medieval Archaeology. He is also Honorary Secretary to the Medieval Settlement Research Group. This book presents Czech archaeology of 1100–1600. A special place is given to Prague and its archaeology. In 1100–1600, Prague was the centre of the Czech lands. Prague is also a well-known and much visited historical city. Hopefully, its renown will also serve as a key to understanding other topics of the Czech archaeology of these centuries, which are much more complicated. Rural archaeology of the Czech lands in 1100–1600 has four main topics, each of which has its place in a wider European context: the origins of farmsteads in the 11th and 12th centuries; changes to the countryside in the 13th century; deserted villages and manorial farms of the 13th to16th centuries. Some of these sites are exceptional in the European context. The chapter then explores the transition to the Modern Age, connecting below-ground archaeology and research into standing buildings. Strongholds from 1100 to the first half of the 13th century formed part of the structure of the Přemyslid state and provided support for the performance of its functions. Then there were the residences of the powerful in the 12th century and in the early 13th century. The system of castles in the later Middle Ages was dominated by royal castles, the framework for the sovereign’s power and his rule of the Czech state as well as a symbol of his prestige. In the 15th century, the Hussite Wars left behind numerous destroyed castles, often accompanied by the archaeology of siege camps. Around 1100, burial grounds began to be attached to churches. The parish network was gradually stabilised. From St Vitus Cathedral at Prague Castle to small village churches, archaeology has accumulated a large amount of knowledge. A surprising theme in archaeology of monastic houses is their gradual construction, which reflects their economic fortunes. The archaeology of burial grounds includes also the archaeology of minorities. Among the results available, attention is drawn to the burial grounds of Anabaptists in south Moravia, which provide information on this sect through their location in the landscape and through simple burial rites. The excavation of the Jewish cemetery in the New Town of Prague was one of the largest enterprises of its type in Europe. The Prague agglomeration of the 12th and early 13th centuries was an exceptionally developed settlement structure, which has left an important legacy that is still apparent; especially its Romanesque houses within later buildings. Most of them had been constructed before the expansion of Prague in the 1230s. An important aspect of the archaeology of the towns of the later Middle Ages concerns their houses. Archaeology has repeatedly suggested the gradual development of houses on their plots. In the case of still standing medieval houses, systematic cooperation between archaeology and building history tends to be very effective. Research provides information on the household equipment, the diet of the urban population and on the urban environment. In some cases, it illustrates the professional activities of the burghers and shows their mentality. Urban archaeology mainly deals with those areas that were enclosed by the town wall. The possibilities for the effective study of medieval suburbs are much smaller. In this context, the results of the long-term programmed research of the suburb in Sezimovo Ústí are exceptional. An essential element in Central European houses were the heating facilities. These comprised open fireplaces, ovens, hearths, subfloor heating systems, tile stoves and portable heat sources. Advanced technologies ensured heated but smoke-free rooms and separated cooking and heating. The installation of particular facilities was connected with the partition of houses into rooms with specific functions. The dark in houses was chased away not only by open fire but also by portable and hanging devices. The chapter is focused on the themes where archaeology provides the most useful information, thanks to the developed state of research on those topics: agriculture, preparation of foodstuffs, ironworking, pottery, stove tiles, glassmaking, silver and gold production, wood tar and pitch production. Archaeological evidence enables us to explore communication and symbolic actions within parts of medieval society. Archaeology informs about objects within specific, meaningful social contexts: house sacrifices, pilgrim badges, stove tiles, aquamaniles, toys and equipment for games. Thanks to the contextual information provided by excavation, we can study the diffusion of some aspects of communication and symbolism in medieval society. This book shows that medieval archaeology is a developed discipline dealing with many varied and interesting issues. Czech archaeology of 1100–1600 also forms part of archaeological work in Europe. One objective of this book has been to encourage and continue dialogue with colleagues in other countries and in other disciplines.